Essential oils have an effect on our mental, emotional and spiritual states, due to the power of our olfactory system and its wonderful ability to evoke emotions. The synergistic combination of this blend creates an inner ambiance and renewed enthusiasm. A general nerve tonic for stress and burn out. May be a useful part of a treatment strategy for menopausal symptoms such as mild depression, anger and frustration. The oils in this blend is useful in reducing stress and its side effects. Try it today and let the stress melt away! Essential Oils: Lavender, Sandalwood, Bergamot, German Camomile, Geranium, Hyacinth. Bath – add up to 5 to 7 drops of Essential Oil Blend to a full bath with warm water. Agitate the water and soak for 20 mins. For sensitive skin types add 2 to 3 tablespoons of milk or soy milk, (if lactose intolerant). Use only 1 to 2 drops for babies and children under 7 years of age and always add 2 to 3 tablespoons of milk or soy milk, (if lactose intolerant). Facial Treatment – Add 2 to 4 drops of Essential Oil Blend to 15ml of Massage Oil Blend. Massage into skin morning and night after cleansing and under your favourite Pure Destiny Skin care cream. Salt Scrub – to 2 cups of Sea Salt, add 15ml of Massage Oil Blend and 10 drops of Essential Oil Blend. Massage over entire body and wipe off with warm damp cloth or Shower. 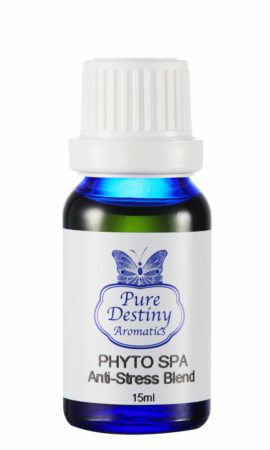 Aromatherapy Massage – Dilute 5 to 7 drops of appropriate Essential Oil Blend into 15mls of Massage Oil Blend. Always use dark glass bottles for ultimate safety and protection, as Essential Oils will affect plastics. 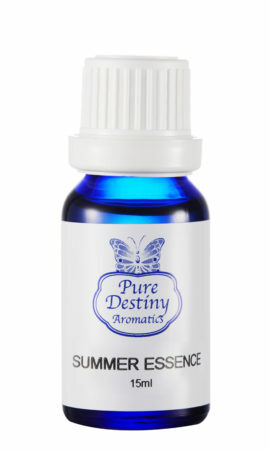 Pure Destiny Aromatics Electric Vaporizers and Mist Diffuser. Our Meditation Essential Oil Blend has been created with the stillness and oneness of meditation in mind. The Meditation Essential Oil Blend is perfect for promoting a meditative and uplifted spiritual state, that evokes a sense of inner peace as soon as you lift the lid.